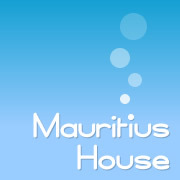 MAURITIUS HOUSE, luxury villa for rental (Seaside holiday house) on Mauritius Island Pereybère (8 persons) Direct rental from owner. Online booking. 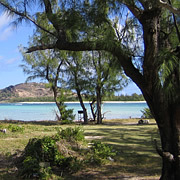 • Equipped with a full range of comforts and located on one of the world's most beautiful islands! 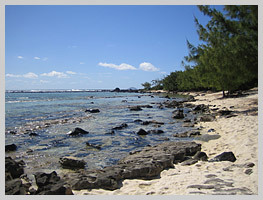 The Republic of Mauritius is an island in the Indian Ocean between Africa and India. A tiny paradise of sunshine and joy, a blend of radically different cultures resulting from successive periods of immigration from Europe, Africa, India and China over the centuries. The volcanic origin of the island resulted in the creation of a spectacular setting, with stunning white beaches protected by the barrier reef and an extensive central plateau with plantations and tropical forests extending up the slopes of the imposing mountains. These remarkable natural features make this special island the ideal destination for dream holidays and absolute tranquillity. 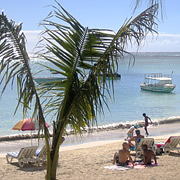 Looking for a holiday house on Mauritius Island? Looking for an unforgettable holiday to spend with your friends? Want to spend your holidays exploring the coral reef? 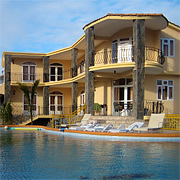 Rent a holiday house at Pereybère Grand Baie Port Louis directly from the owner at prices only available by cutting out agents. Take a look at the last minute offers and book your dream holiday online at the Mauritius House villa, which is placed at your complete disposal to accommodate you and your party.